Happy New Year! Now that the celebrations are over, let’s talk resolutions and why so many new years resolutions fail. (According to some research, up to 90% of us don’t successfully keep our resolutions). 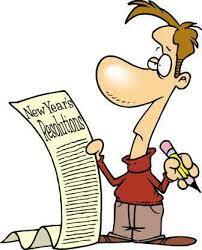 How many of those seemingly admirable resolutions have you actually kept? Really reflect on that for moment. If the answer is a wistful, “not many” or “none” or “what do you mean kept?”, then you are in good company. We mean well for ourselves. And yet the new years resolutions we make often fall very short of our honorable expectations. There is very good reason for this. Actually, there are several good reasons for this. Have you asked yourself about the “why” of your resolutions? If not, it’s a very good practice. If so, what answers to you get? The “why” is about the underlying meaning and value behind the change you desire to make. What is truly driving your need or desire to lose those pounds, exercise more, be more present with your children, eat more healthy food, etc? Once you understand more clearly the deeper motivations and how they align with what you value in life, then resolutions have much better staying power. In fact, any change you want to make will be facilitated by your clearer understanding of how the change fits into what truly matters in your life. So if want to lose some weight, understanding on a deep and honest level why you really desire this for yourself will align your emotions, thoughts, and behaviors in the same direction. And if you end up concluding that you want to look good for the summer or want to lose those holiday pounds, then go deeper and ask yourself what truly is motivating that desire for change. 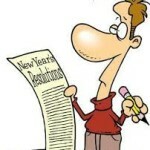 You can always dig deeper and find what may truly underlie your resolutions. Some reasons may be honorable and aligned with your values, while others may be more superficial and in need of some honest self-reflection and possibly offering yourself some love, compassion, and acceptance. As online marketing guru, Jeff Walker, is quick to point out, when we are “resolved” to change something in our lives, we tend to get lost in the accidental grandiosity of the changes we desire, and they quickly can become unattainable. He aptly suggests that we focus more on attainable goals with an aim toward creating daily habits and rituals that naturally flow back into the manifesting of our goals. So instead of determining on January 1st that we will finally lose weight this year or that we will be a better friend, we might sit down with ourselves and take an honest look at what’s gotten in the way of losing those unwanted pounds or being a better friend. Next, we would set some achievable goals with the clear intention of incorporating repeatable healthy habits that we honor on a daily basis. For example, we might have a goal to lose 15 lbs in three months. (This goal, by the way, is much easier to achieve than telling ourselves we simply resolve to be thinner in the new year). We can then aim to build in daily habits, rituals, or routines that support this goal. Eating half the bowl of ice cream each night for one week, then one-quarter bowl, and then substituting popcorn for ice cream would be one way to make significant, feasible progress toward your goal. Before you know it, you might be shedding some weight and feeling better about achieving your goal. We often get unnecessarily discouraged along the way (often just a few weeks into the new year) at our lack of progress. This phenomenon actually makes very good sense. We lose momentum largely because we have not made a commitment to accept our lack of progress or failure to keep up with every single aspect of our self-change project. Did I say, “accept our lack of progress?” Why on earth would we do that? Isn’t that the opposite of what we want to achieve? Yes, on the surface. But when we dive just a bit deeper, we see that acceptance leads to positive growth and change. Acceptance does not mean giving in or giving up. Acceptance means seeing clearly and honestly what’s actually happening and being willing to acknowledge (and even honor) the struggles as well as the triumphs. Mindfulness-based addictions treatment (spearheaded by the late Dr. G. Alan Marlatt) is a perfect example of the vital need to integrate acceptance and compassion into the very fabric of the change process involved in being clean and sober. When trying to move toward sobriety, alcoholics are encouraged to acknowledge and honor their set backs as “blips”, as mere hurdles on the path toward a more sober life. As soon those individuals begin to beat themselves up, make excuses, or assume that they have violated their own (or others’) expectations by drinking for one evening, they inadvertently set themselves up for discouragement, stagnation, or true set-back. In short, acceptance is not, as our culture leads us to believe, weakness of any kind. Acceptance is true power. Let’s return to the title of this blog post: “Please do not make any new year’s resolutions until you… .” Before making change, we must first acknowledge where we stand. We must acknowledge the good, the bad, and the ugly. When we simply dive head first into change, we end up jumping onto a roller coaster ride of self-improvement ups and disillusionment downs. We likely are already down on ourselves to begin with, which is why we made the resolutions in the first place. To jump right into change without acceptance of our current status doesn’t allow the mind-body to release some of the tension around how badly we want to change. If we wanted to be a “better friend”, we might want to first take an honest look at the type of friend we have been. What has been so problematic to warrant a new year’s resolution? What has stood in our way of becoming a more attentive, caring friend? For whom are we really changing? Could we live with ourselves comfortably if we didn’t change in the drastic way we might desire? Once we are a bit more honest with ourselves and treat ourselves with some measure of respect and compassion, we can begin to wake up to what we really do want to change and what truly needs to be held with kindness and love. In other words, what will we shift and what can we simply honor as part of who we are at that moment in time. All this acceptance talk is not meant to imply that we can’t dream about or commit to a better life. If there are things that you want or need to change about your self or your life, then please do all you can to make this happen. Dream big, step small, accept all. For me, this pretty much sums it up. Please leave a comment below about how your resolutions have stuck or have missed the mark, and what you are planning for 2016. If you liked this post, GET MORE OUT OF LIFE LESS HARD and sign up for blog post updates and much more.